So yummy, you'll be reaching for a spoon; a scent just like butterscotch pudding. The perfect potpourri of cinnamon and sweet berries. Just like walking into your favorite country store. Like a delicious glass of fresh apple cider with a touch of cinnamon stick. A refreshing blend of grapefruit, lemon, lime and a hint of orange. This fragrance will take you right to your favorite beach with memories of the beautiful mix of spicy vanilla, exotic florals and a touch of citrus. A refreshing scent of fresh mint and crisp eucalyptus, with hints of bright citrus and herbs for an invigorating clean scent. A clean, woodsy scent that's perfect for the holidays?or all year long. Friends, family and fun will be brought to mind when you smell this warm and inviting fragrance that blends apples, spices, pumpkin and clove. Sweet and warm with a ginger kick. Gingerbread combines warm vanilla, molasses and spices for a homemade, fresh from the oven cookie scent. Infuse your day with this rich blend of hazelnut, vanilla and cocoa bean. An intoxicating fragrance that reminds you of warm summer days and the smell of sweet honeysuckle wafting on the breeze. An American tradition with ripe apples and a hint of cinnamon. One of our most popular fragrances! Like biting into a crisp, delicious apple straight from the orchard. Turn your home into a mesmerizing spa with the ideal mixture of lavender, jasmine and vanilla. Sit back and de-stress! Leather smells just like when you purchase a new car with leather seats or sit on a plush leather chair, or conjure visions of motorcycle jacket fringe or a cowboy saddle. Cheerful and sunny, the lemon and sugar mixture is sure to bring a smile to your face. Sweet, tangy and exotic; an invitation to a tropical afternoon fiesta. This masculine scent will remind you of nights with friends gathered around the campfire - woody and smoky. A traditional fresh orange scent with a touch of vanilla and clove to make this warm and delicious. Peaches ripe to perfection - sweet, juicy and delicious. Fragrance and dye free, this 16oz candle is perfect for those times where fragrance is not wanted but a candles warm glow is a must. Perfect for dinner parties. 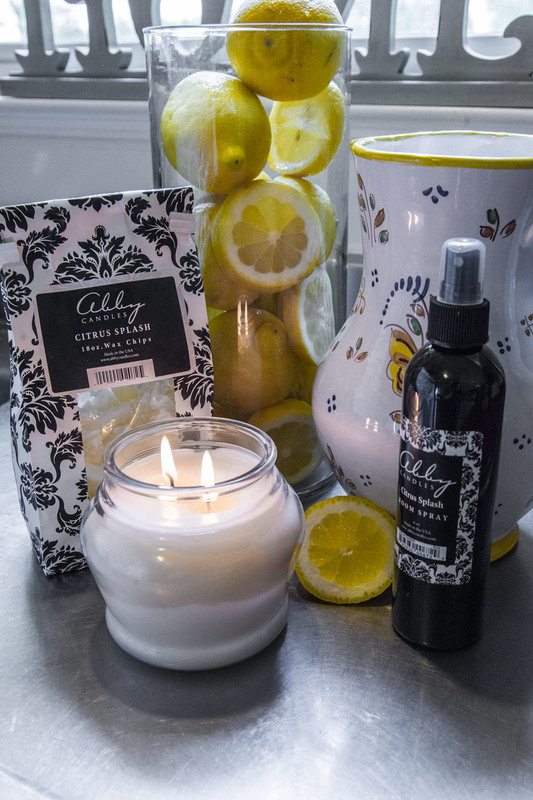 Unwind with this relaxing fragrance that mixes sage and hints of lemon-lime and talc. the soft clean scent will take you away to a day at the spa. This scent is light and refreshing with hints of jasmine, violet and lily of the valley on a background of velvet musk. Fragrant vanilla beans blended with a hint of bourbon soaked cedar wood, sweet spun sugar and a dash of aromatic spice. A welcoming blend of cinnamon and light florals. A magical blend of cool peppermint and cinnamon with hints of crisp apple and creamy nutmeg!